The Forest River Cherokee Cascade destination trailers, travel trailers, and toy haulers are built exclusively for AC Nelsen RV to give you better comfort, style and value. Enjoy all of your travels to the fullest whether vacationing with your family or just the two of you. 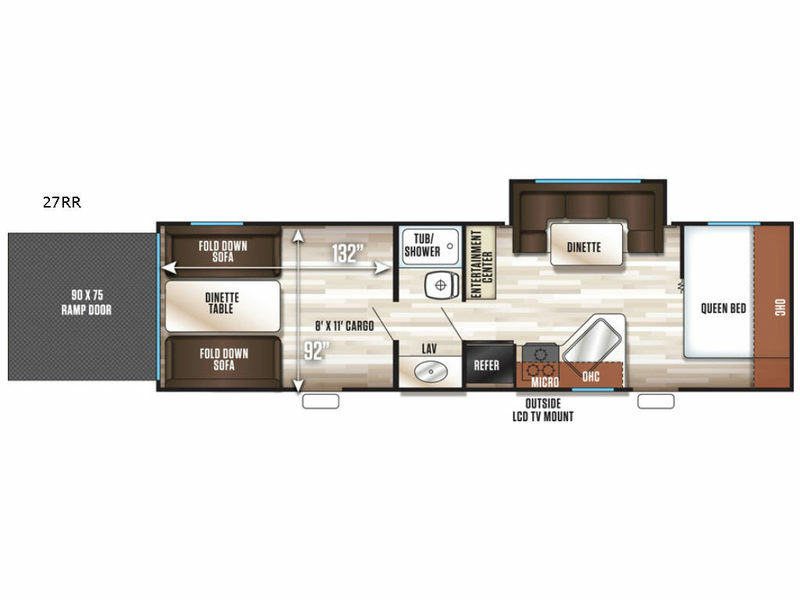 Each Cherokee Cascade model features the type of amenities you are looking for in an RV. With comfortable interiors, slide out rooms on select models for added space, and an abundance of storage, you can rest assured knowing that the Cherokee Cascade has you covered. One of the best features is that it is well priced making it extremely friendly on your pocketbook. You can be certain that no matter which model you select that it's the right choice for exploring the many trails to adventure. Get your Forest River Cherokee Cascade destination trailer, travel trailer, or toy hauler today! Please see us for a complete list off features and available options!